I don’t know about you but for me, sewing can be intimidating and really hard at times. That’s why its really important to have some sewing hacks up your sleeve. I’m so happy to share these 10 Sewing Hacks You Probably Didn’t Know with you today. 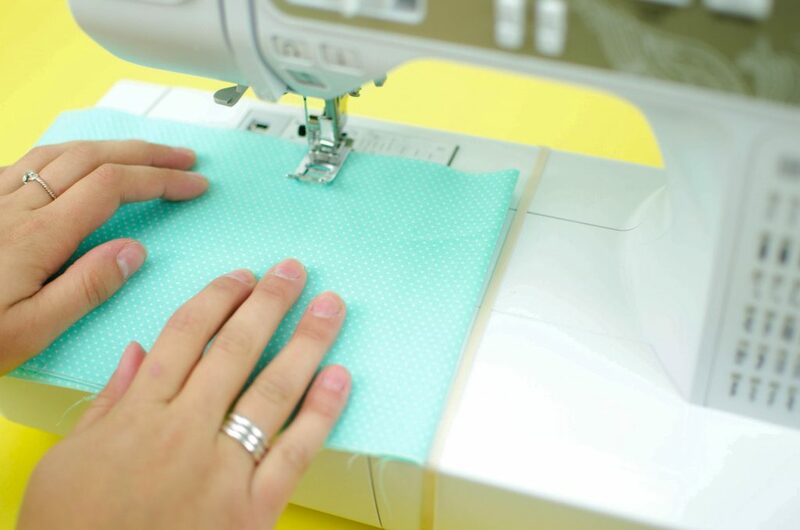 Whether you are a sewing pro or just a beginner sewing it is always helpful to have some sewing tips. These will surely help you in your projects from beginner sewing projects to the more advanced ones. This post covers everything from how to keep your scissors sharp to how to sew straight lines! 1. Place a rubber band around the arm of your sewing machine. Have you struggled with crooked seams? 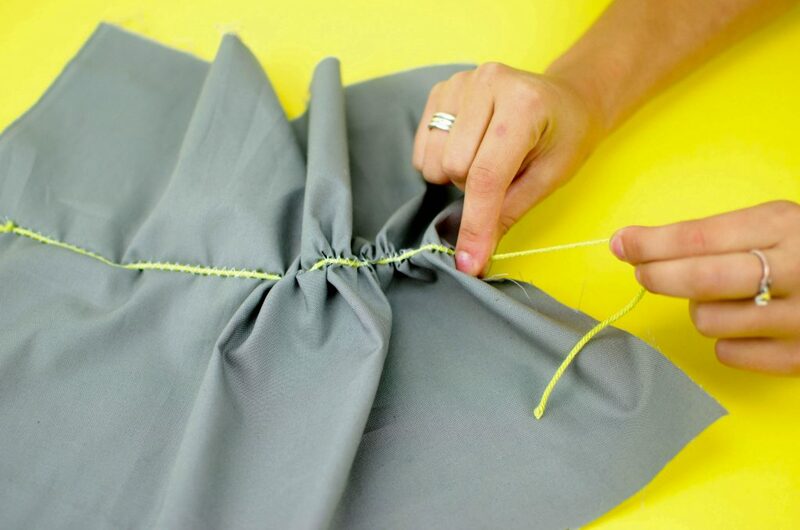 It is the absolute worst but this quick hack will have you sewing straight lines in your sleep. It is easy to just leave it on there and move it for each project. This is especially great for when you are sewing further in on your fabric and can’t just align the fabric with the side of your presser foot. 2. Rubberband two pencils together to mark a seam allowance. Seam allowances can be tricky. Especially if you are using a paper pattern or making a pattern out of your clothes. 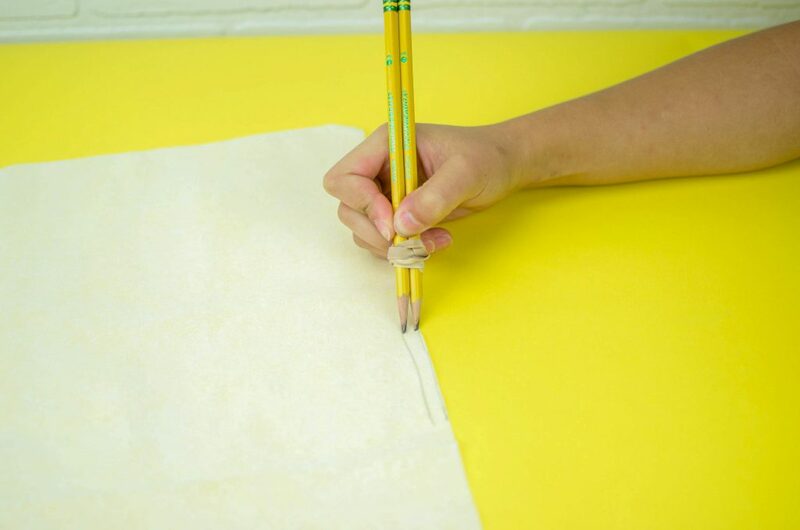 It is really helpful to attach two pencils with a rubber band and then trace it so that one pencil is on the edge or the line of the pattern and the other pencil will draw in the stitching or cutting line for you depending on which way you are working. 3. Spray the end of the thread with hairspray to make it easier to thread the needle. I have some pretty good eyesight, but sometimes even I struggle to get the thread through the eye of the needle. 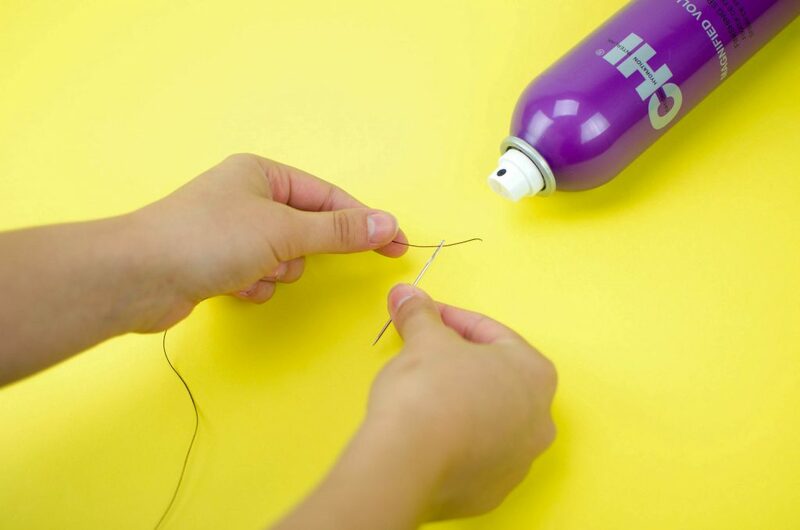 If you have ever wondered how to thread a needle easier, just spritz the end with some hair spray. This will keep the fibers of the thread together tightly and it should slide right through the eye. 4. Use a flat iron between buttons. This is one of my favorite hacks for life, not just sewing! If you have a wrinkle between some buttons or other embellishments, just slide your flat iron between them to get the wrinkles out! This is great for tiny spots that your iron won’t fit in, but also if you are traveling and don’t have your iron with you, or just don’t feel like taking it out, the flat iron is your saving grace! 5. Zigzag stitch over a piece of yarn to create a ruffle. You can make so many cute projects when you know how to sew a ruffle. There are lots of ways that you can make them, but my favorite way to sew a ruffle by far is sewing a wide zigzag stitch over a piece of yarn and then pulling it together to make the fabric ruffle. You will want to make sure that one swing of the needle is on the right of the yarn and the other is on the left side. 6. Keep a magnet around to pick up lose pins. Don’t step on your pins! 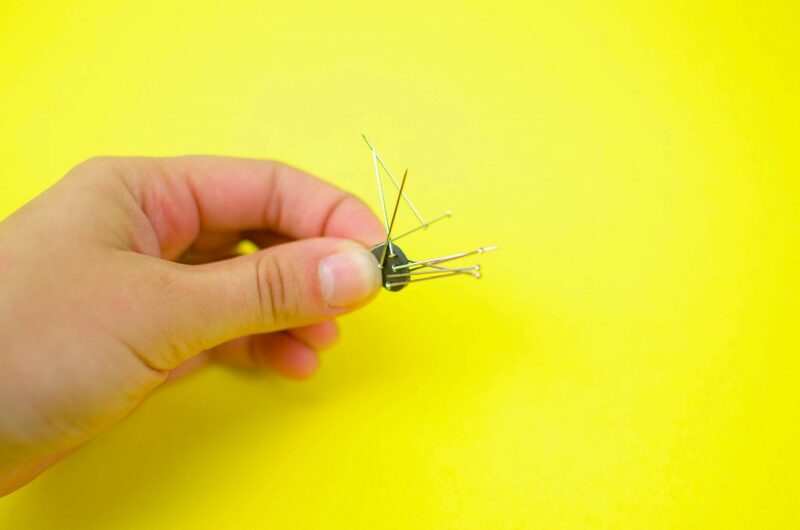 While it is a good idea to wear shoes in your sewing space, you can easily pick up dropped needles by waving a magnet over the ground or table. 7. Use tin foil to sharpen your scissors. Dull scissors got you down? 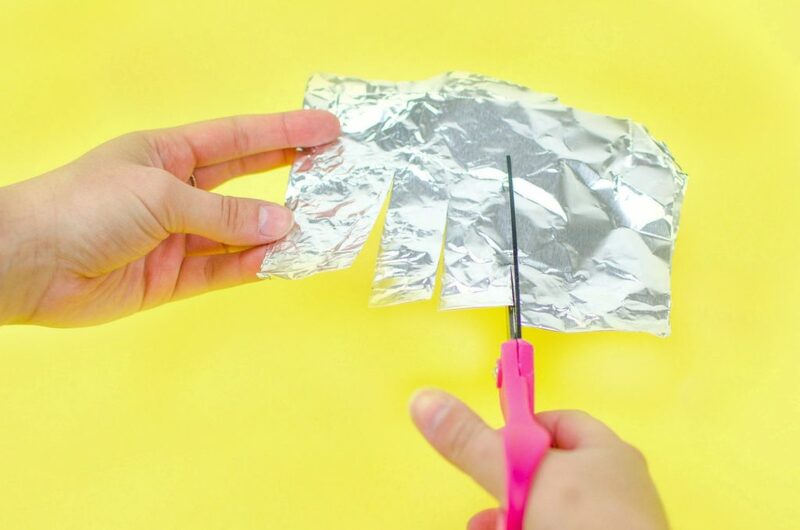 Up your fabric cutting game by cutting threw a few pieces of tin foil. 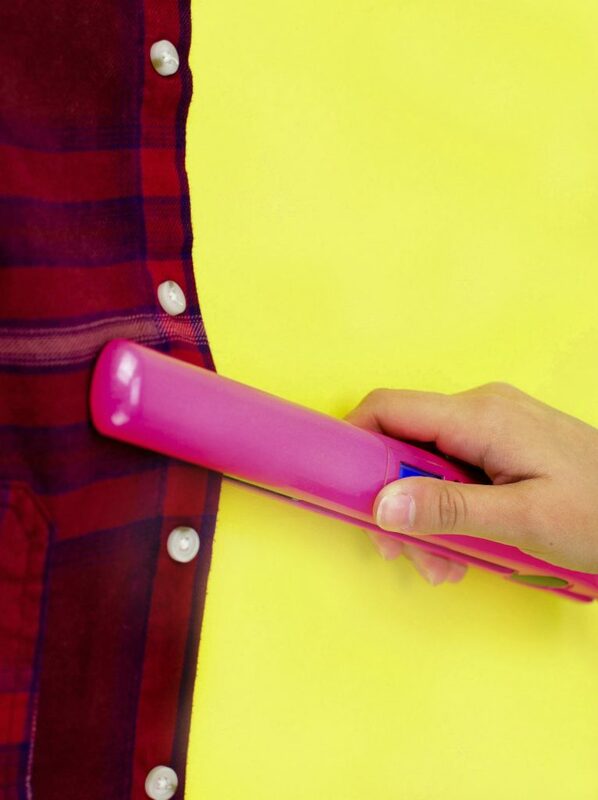 This is a quick and easy way to sharpen your scissors at home! 8. Use clear nail polish to secure button threads. Secure your button threads and stop them from unraveling by simply dabbing some clear nail polish over them. Just a dab will keep your button in place. 9. 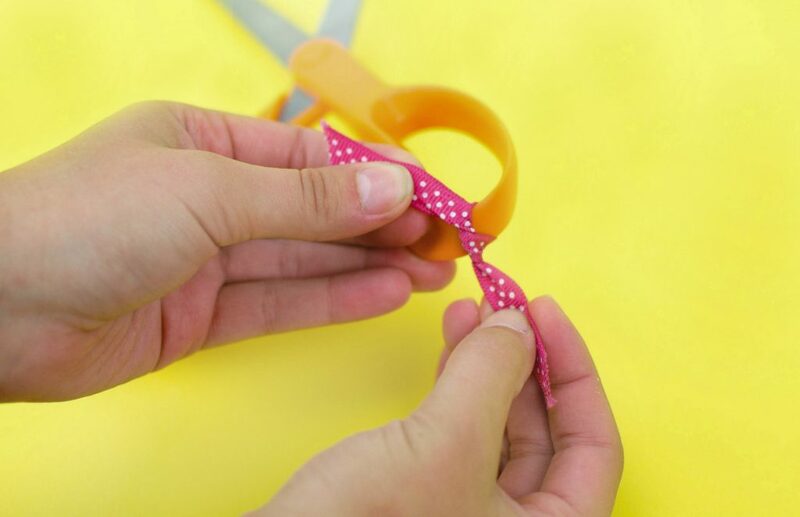 Tie a ribbon around your sewing scissors. The number one rule in my sewing room and hopefully yours too is that my fabric scissor may not be used to cut ANYTHING other than FABRIC. This is a big no no! Before I implemented this rule, my scissors would go dull so fast and I went threw lots of pairs. I have had this pair for a bout a year and its all because I simply tied a ribbon around the handle to remind me not to go cutting paper with them. Its a game changer yall and basically free! 10. Use clothespins as sewing clips. Clothespins are a cheap and great alternative to sewing clips. While I love my sewing clips, I have a stash of clothes pins to use on bigger projects that I don’t have enough sewing clips for. 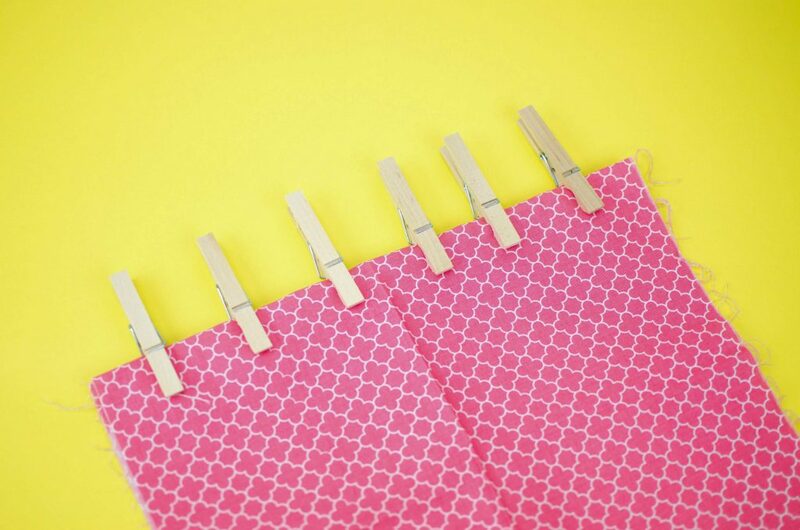 If you are just getting started out with sewing and aren’t ready to make the investment into sewing clips, just grab a pack of clothespins from the dollar store for yourself. I love sewing. Don’t have time now to do any thing. Yet, I can’t resist reading on the subject. Enjoyed your post and will put some into use. You are on the right track with the button hint. May I add a suggestion? First, always apply a sealant to the BACK of the button where the knot is. It also won’t cause the threads on the front to be shiny. Secondly, there is a product available on most Notions Walls called “Fray Check” that will do a better and permanent job of locking those seams! Polish will eventually peel off. These tips are awesome! I have been sewing for many years and still learned something. By the way, threw is the past tense of throw. I think you meant through. We learn from each other. Thank you, again. Nice! Good tips and will come in handy. Teaching some grandchildren about sewing so will pass along tips. My son who is now 38 the other day we were doing something and I grabbed my sewing shears to cut with and Tim said Mom those are your sewing scissors. Lesson well learnt from a child now an adult. Many years ago, a friend told me that she was so exasperated with her husband and kids using her expensive sewing scissors for everything from cutting out paper dolls to trimming the dog’s nails that she secured them with a small padlock through the finger holes. And just to be extra sure, it was a combination lock whose combination was her little secret. The family whined and complained. She just laughed. Wow! That is an extreme measure! I guess you have to do what you have to do!